Sole suppliers of Australia’s fastest curing range of super tough epoxy timber repair products, developed specifically for the professional timber restoration and painting sectors. Our premium quality, fast curing time saving products will enable you to restore and paint timber windows, doors and fascias’s or almost any timber structure in just one day! Timbabuild Australia Pty Ltd is a proudly Australian owned and operated business. Timbabuild Australia & Melbourne Property Rescue Pty Ltd.
Melbourne Property Rescue Pty Ltd . Melbourne’s Premier Wood Rot Restoration & Painting Specialists. Together we have extensively trialed and tested Timbabuild products in multiple projects throughout Victoria over the last 12 months and have achieved fantastic results and increased profits compared to using other available brands here in Australia. Whether used for minor window repairs or complete restorations of period and heritage listed properties the Timbabuild Super Tough Epoxy Repair System is revolutionising the way we restore. It seals and repairs timbers permanently and can also be used as an adhesive when splicing in new sections of timber. It can be moulded to reproduce shapes and profiles, sanded, planed, routed drilled and fixed into. It can also be dyed any colour to reproduce natural and period timber colours including wood graining effects used in period restorations, furniture and natural timber flooring repairs and restoration. Melbourne Property Rescue Pty Ltd is proud to have been chosen to trial Timbabuild products in Australian and fully intends to carry on using the Timbabuild Super Tough Epoxy Wood Repair System to achieve long lasting guaranteed results. 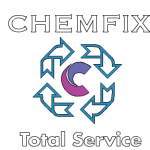 Timbabuild Australia is proud to be supported and be the sole Australian distributor for Timbabuild products designed and manufactured by Chemfix The UK’s leading manufacturer and exporter of Chemical Anchoring, Building Adhesives & Wood Rot Repair Systems to the Professional Market.